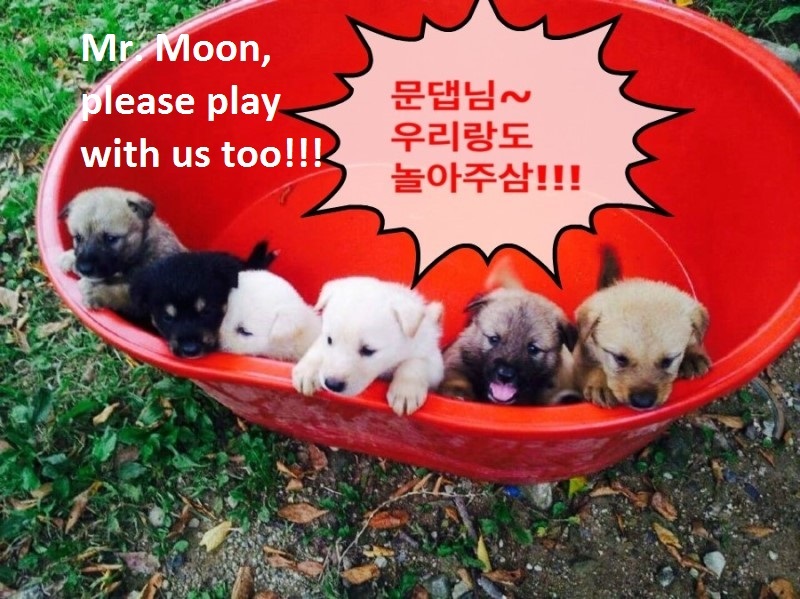 Home / Blog / Moon Jae-In’s puppies. On May 9th, there will be a Presidential election in South Korea. This is following the final ruling by the Constitutional Court on March 10 which upheld a decision by the country’s National Assembly to impeach President Park Geun-hye (the first female president in Korea) over alleged corruption. Right now in Korea, the presidential hopefuls’ campaigns are in full swing. The unchallenged front runner in the poll is Mr. 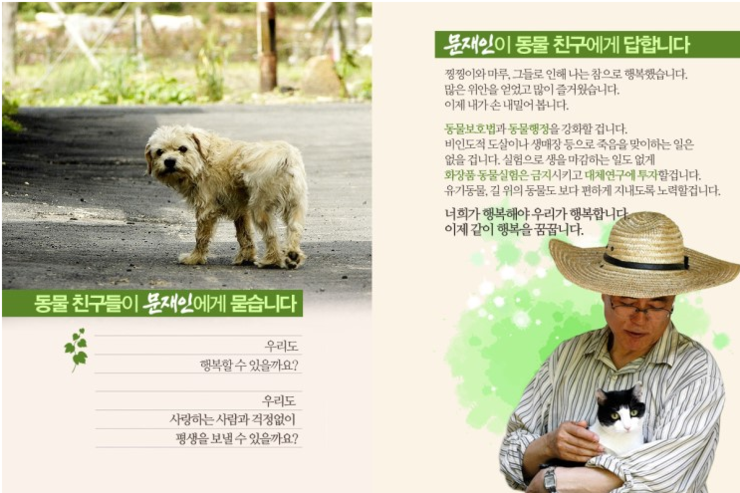 Moon Jae-In and he is the most likely candidate to strengthen the Animal Protection Law and help the animals in Korea. We support him and his pledge to lead his nation into a more ethical and compassionate society by improving the welfare of animals. Mr. 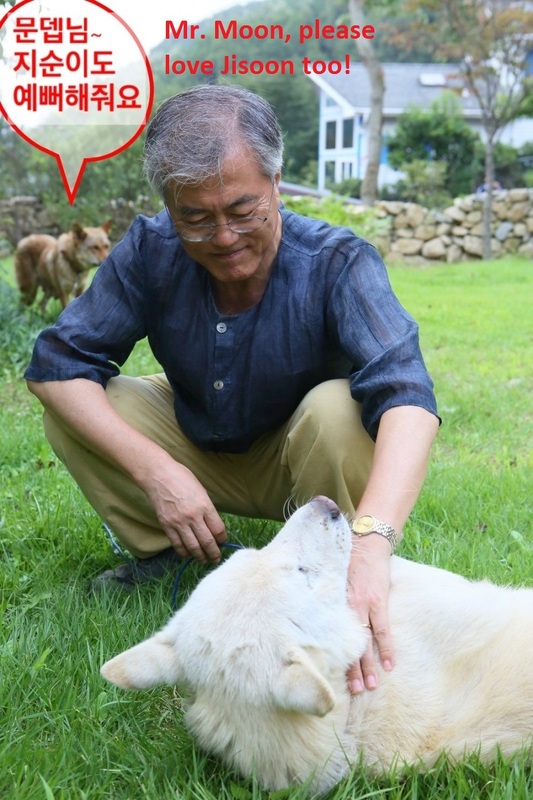 Moon Jae-In has posted a story about a stray dog who came into his life and what he had learned from that experience. Below is translation of a story shared on Moon Jae-In’s official blog on February 2, 2017. This is a blog post from 2012 when Moon Jae-In was a candidate for president in the 18th Presidential election. At the time, Mr. 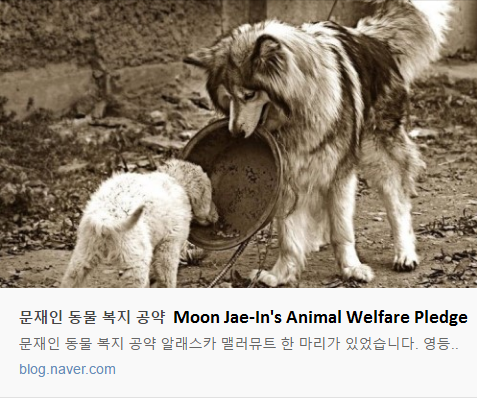 Moon pledged plans for animal protection, such as the strengthening of the Animal Protection law. 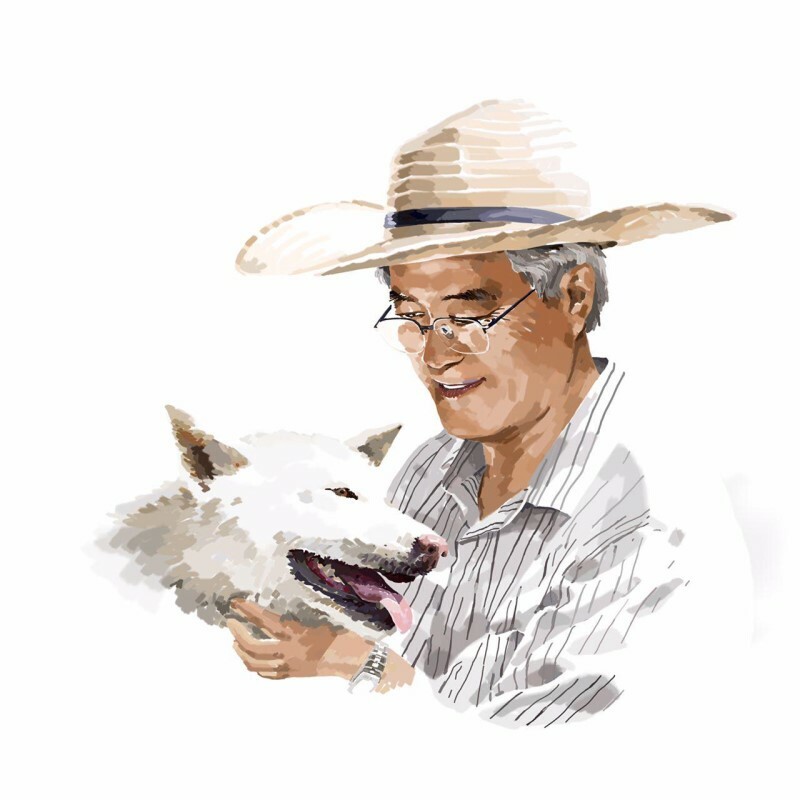 Mr. Moon’s pledge for animal welfare wasn’t something that his policy team created for him. This policy came about because Mr. Moon is someone who has always loved dogs. The story is about a stray dog named ‘Jisoon’ and his pet dog ‘Maru’ and their love, and finding homes for the puppies born between them. We would like to share that story with you. Last July, I tweeted about the news that our dog had puppies. The mother dog ‘Jisoon’ used to be a stray who was wandering around the outskirts of the village. This dog, who looks like a mutt with a mix of brown Jindo dog, was so afraid of people that she never came close. Even when she sees people from a far distance, she would run away. The place where she usually hangs out was in the mountain behind our village. When I take a walk, i would often see her from a distance, wandering around. People called her a wolf dog. I cannot remember when, but one day she started to visit our yard. It was to visit our male dog, Maru. When I wake up in the morning and go outside, I would often see her standing next to the pan around Maru’s kennel, and then quickly run away. I found the hole where she escapes and blocked it, but it was of no use. In a not well constructed fence, she quickly found other holes. Then one day, while we were taking a walk together on the mountain behind our village, Maru had found something. Near the entrance to the walking trail, there was a pavilion, half-built and never completed, from a long time ago. It is a place where I usually pass, without paying much attention, but when Maru started acting strangely, I looked inside and saw that there was a gap barely big enough for a dog to pass through under the floor where there was a cave-like space deep inside it. There were six to seven puppies less than a month old inside. When I saw that, I could not help but worry about them. I went there a few more times, but the mother dog could not be found, perhaps looking for food. Only the puppies welcomed the people. It was dangerous to leave the puppies there alone. After weaning, it would not be easy for the mother to find the food to feed them, and if the puppies went out of the cave, they may get lost or harmed by wild animals like weasels. “What should we do?” My concerned daughter eventually brought all the puppies to our home. Then we took care of the puppies until they were able to eat solid dog food and found homes for them with our neighbors. The people in the village took care of the stray puppies. Since we brought her puppies, Jisoon came even more often and took care of her puppies when people were not around. As I had guessed, Jisoon was the mother. The fact that she gave birth to her puppies and raised them all alone in the cave, was amazing. The puppies were distributed to the neighbors, and as they grew, it became clear who was the father of the puppies. The puppies were either white or brown, and the white puppies surprisingly resembled our dog Maru, who is a ‘Poongsan Dog’. I do not know when it happened, but our dog Maru was their father. It turned out that it was our responsibility to take the puppies and take care of them, after all. As her puppies had all gone, Jisoon came to our house even more often as if it was her home, and circled around Maru. She was still afraid of people, so when she sees a person, she would run away and go back to Maru. She loved Maru, and faithfully followed him around. When I would take Maru for a walk, she would appear out of nowhere and always follow us from a distance. Even though she ate dog food which was left out in the yard, she would often startle us by bringing animals she caught such as weasel, baby elk, and rabbit. She would hide these animals somewhere and eat them. However, what is surprising was that she would not eat them by herself, but she would bring the meat for Maru. 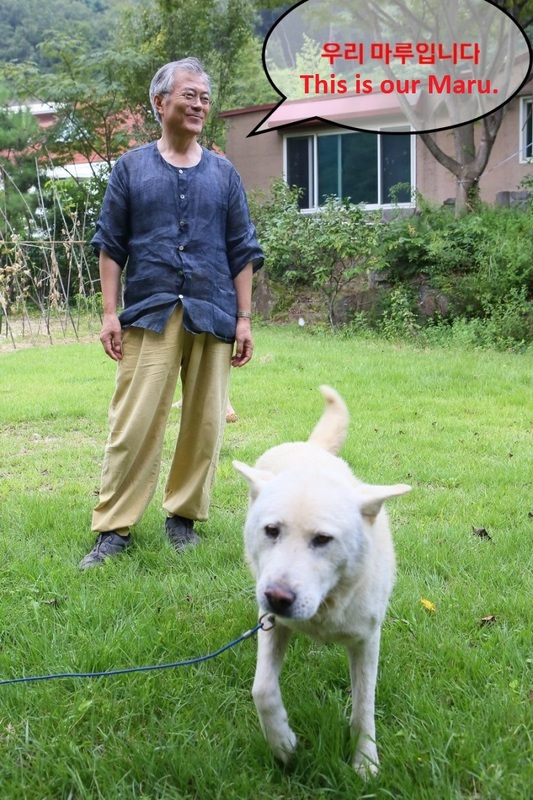 Jisoon’s devotion and love for Maru became well- known among the neighbors. That’s how she got the name ‘Jisoon’(지순) which means ‘absolutely pure’ in Korean, because of her absolute love for Maru. Yet, there was a problem. Jisoon was going around attacking the female dogs in the village. Strangely, she left the male dogs alone and only attacked the female dogs and sometimes the injury was so severe that it almost killed them. People in the village thought that she was just a jealous female who wanted to keep Maru for herself. Eventually, we decided to catch Jisoon and send her to the animal shelter. After the discussion, we reported her to the 119 rescue team and captured her with an anesthetic injection gun. When we captured her, we saw that she was still wearing the collar that was put on as a puppy. When her neck got thicker, the collar pierced deep into the skin, causing wounds that were severely infected. The animal shelter said that they had no choice but to euthanize Jisoon because adoption is impossible in her condition. We ended up not sending Jisoon to the animal shelter, but to the veterinary hospital for surgery on her wound. After the wound healed, we had to capture her again and take care of her. However, she was so clever and agile that we could not catch her. We tried to entice her with food, corner her with several people, even tried tranquilizer and sleeping pills prescribed by a veterinarian, but none of it worked. Even when she seemed to have fallen asleep with the tranquilizer, when peopled approached she ran way frantically. Finally, what captured her was a method that was beyond our imagination. While our family was out, leaving Maru in the yard unleashed, Maru and Jisoon were copulating. When our family returned, Maru dragged Jisoon into his house. Jisoon, captive in the dog house, became pregnant and gave birth to a litter of puppies. Another amazing thing is that through those puppies, we were able to find out who the father of Jisoon was. Among 7 puppies, 3 puppies were brown and 3 puppies were white like the mother and father’ colors. However, one was totally unexpectedly ‘4 eyes’ Jindo dog with black fur. He was a rare breed of Jindo which has black fur with a white spot above the eyes which makes it appear to have four eyes. We had a dog named ‘Kam’, a companion to Maru, who I had left with my neighbor while I was running in the general election and he was a ‘4 eye’ Jindo. And there were no other ‘4 eye’ Jindos in the area. Therefore, we knew that Kam was the father of Jisoon. All seven puppies grew up in good health and as I promised on the tweet, they were all distributed on a first come, first served basis to applicants from Seoul, Busan, and Yangsan. When you see how the stray Jisoon was able to reproduce, we don’t know how her puppies will again reproduce. If we think about it, there is no life in the world that is not precious. Through stray Jisoon and her puppies, I think about the preciousness of life and the mystery of destiny/relationships/fate. Mr. Moon does not just love dogs. Professor Yu Hong-Joon, author of “My Heritage Exploration”, said that Moon Jae-In loves trees, and his knowledge of wild flowers is on a professional level. It’s to a level where he visits all the arboretums around the country. The reason why he often climbs mountains is to see the trees and the grass. We became close because we have similar hobbies. 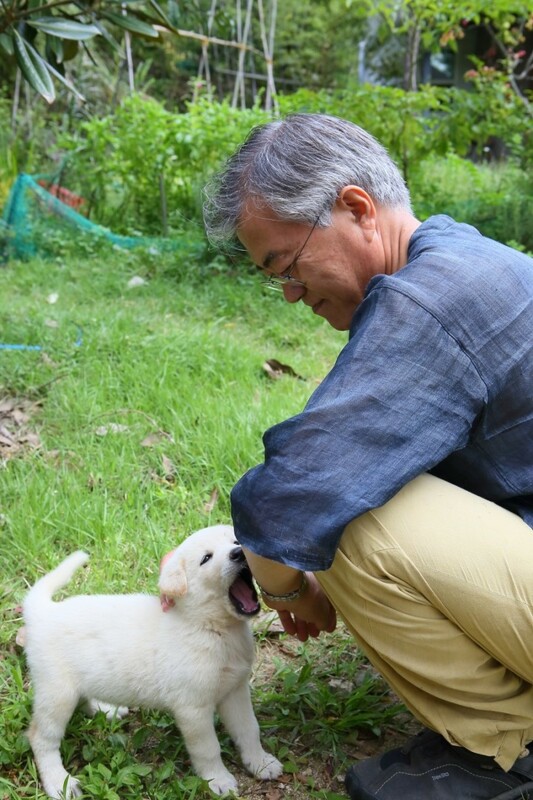 Moon Jae-In loves not only dogs and cats but even the plants. You can watch tonight at 11pm SBS [Presidential Candidate Interview]. Can we be happy too? Can we live our lives without worries, with the people who love us and we can love in return? I was happy because I had companions like Jjingjjing and Maru. They gave me much comfort and joy. Now, it’s my turn to help them. 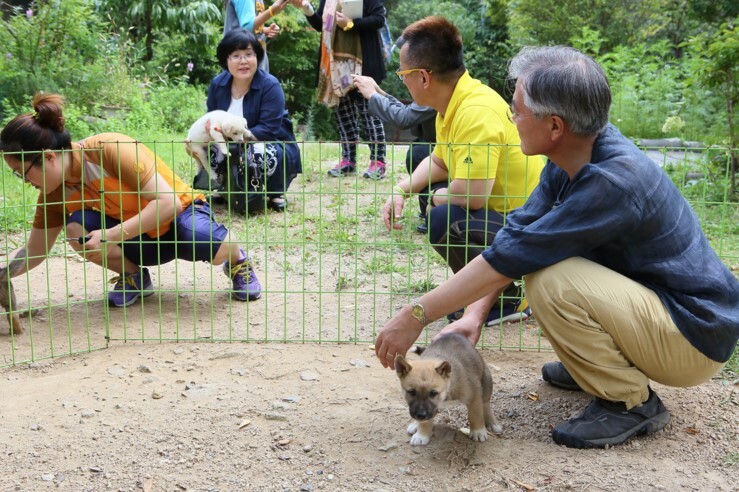 I will strengthen the Animal Protection Laws and Animal Administration. There will be no more cruel slaughter or burying alive of animals. In order to stop the animals being killed in laboratory testing, I will ban all animal testing in the cosmetic industry and I will invest in researching the alternatives. 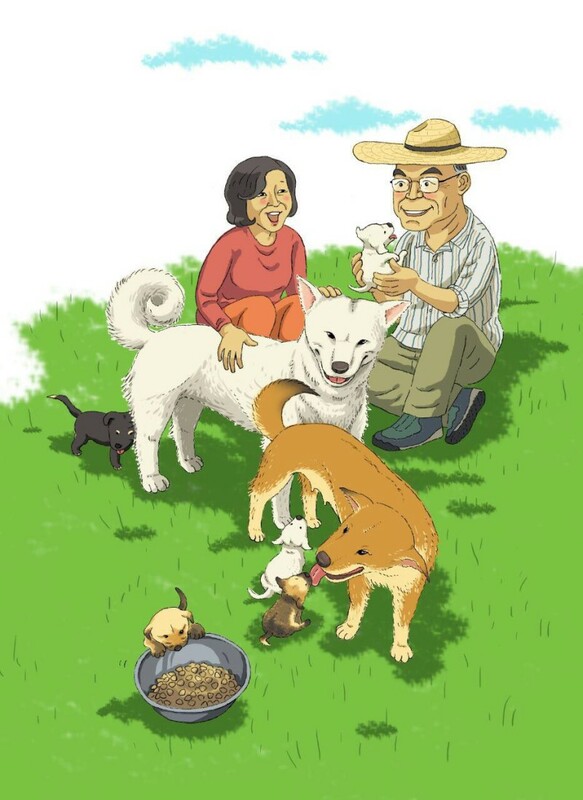 I will try to improve the lives of abandoned and stray animals. You must be happy before we can be happy. Now together, we may dream of happiness. #722 National Assembly Member’s Office Bldg. 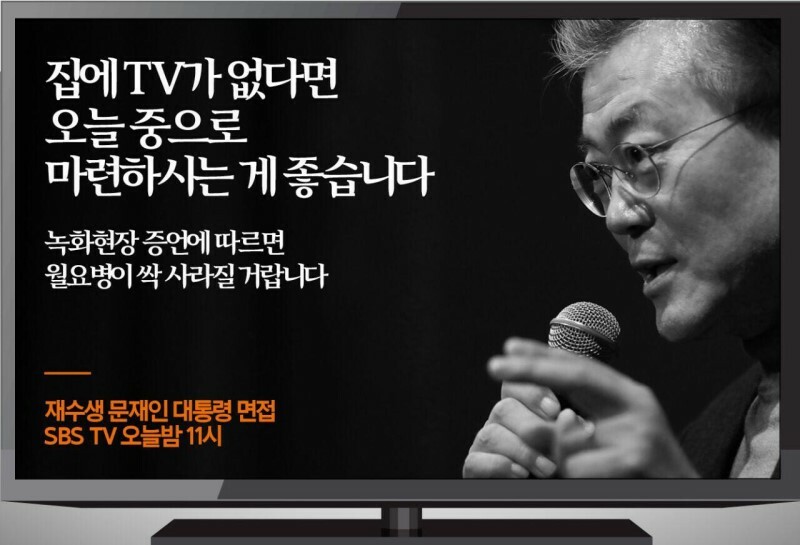 Click HERE for Moon Jae-In’s homepage. thank you !!! Help Dogs please !!!!!!!!!!! Thank you so very much for being so very compassionate. That is so wonderful to see. Animals just want to be loved and they so deserve it. God Bless You. thank you but I do it for them ,since they cant speak and I`m always signing petitions for animals they do not deserve this kind of treatment god didn`t want that we need more people specality those with a good heart. THANK YOU SO MUCH FOR YOUR BEAUTIFUL HEART AND SOUL … I WILL SING A SACRED ANCIENT SONG OF HUUUUUUUU AS A PRAYER FOR YOUR ELECTION. OUR WORLD NEEDS YOUR BRIGHT AND WISE AND CARING LEADERSHIP FOR ALL OF LIFE. I HOPE YOU CAN HAVE A POSITIVE INFLUENCE ON N. KOREA TOO!!! Please .. the world needs your kind heart and appreciation of innocent animals.. Thank you very much! Earth needs people like yoy! Please stop the cruelty to your lovely dogs, please please please, and thank you. Please – help to stop the pain and the crying from dogs and cats. Please stop this cruel practice. No creature should be tortured as animals feel pain as much as we do. Please , help us to stop the torture and suffering to millions of animals. Help us to stop this horrific trade and barbaric festival. Que Dios los Bendiga siempre,siempre.Estas personas son Ángeles en la Tierra.Todo mi Amor y Luz hacia ellos. Thank you for everything you are trying to do for the dogs in Korea. You are a truly wonderful person and I hope and pray that you succeed in stopping the barbaric treatment of cats and dogs. Please have the dogs neuteted and and Jisoon spayed. That would be true compassion for animals to not be bred!! Beautiful story but a sterilization programme must be established. That’s the humane and practical side of this story. This is great news. Please advise him about getting his dog fixed though. There are only so many dogs one village can take in. Hope is permitted. Praying that Mr. Moon Jae In will be elected. He truly is a man of the 21st century. 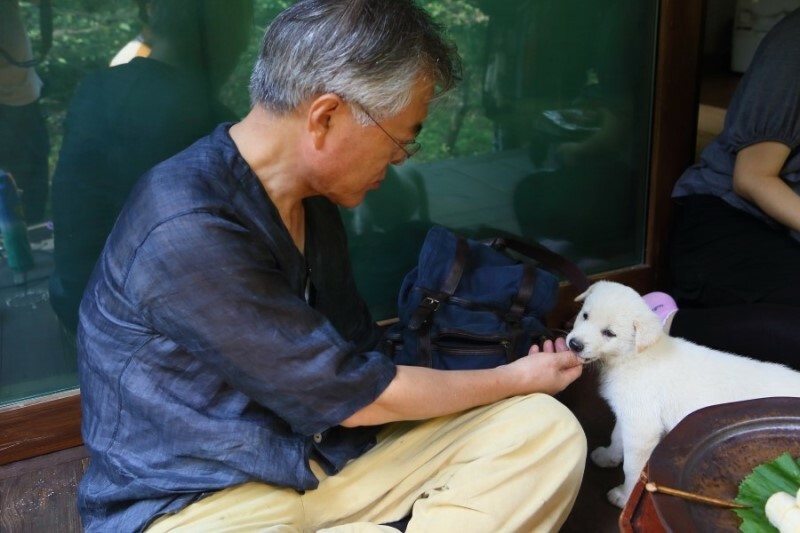 Thank you so much, Mr Moon Jae-In, for your actions and compassion for animals. The reputation of South Korea is being severely damaged by the shameful treatment of animals that is occurring in your country. I hope you are successful in your election campaign and that you will act to stop the unbelievable cruelty that is occurring. I and many others will unfortunately have to stop buying South Korean products until animal cruelty is stamped out in South Korea. Thank you for your care and good luck. MERCI MERCI POUR TOUS CES CHIENS ET CHATS QUI SONT TORTURES PAR MILLIERS DONNANT UNE IMAGE NEGATIVE DE CES PAYS STOP CRUAUTE!!!!! Hopefully he will be the next President. It will be a great VICTORY to animals. Mr Moon sounds and looks like a lovely person. If so, many of us hope for his winning the election that will stop the cruelty of south Korean torture and murder of pets. Mr. Moon loves his dogs and so do we. thankyou so much for your compassion and care ,i hope for a good outcome in forthcoming elections . Thank you, Sir, for the kindness, love & respect you have shown to cats and dogs who have had the good fortunate to befriend YOU throughout their and your life. And thank you for being a role model, a teacher and advocate for humane treatment of animals who cannot speak for themselves and have hearts larger than most people around them. Thank you for everything you do and will do to end their needless and barbaric abuse and suffering. Our world becomes a far better place with each act of heartfelt kindness!! Thank you for being so kind to the voiceless. Your love and compassion is an example that all humans should follow. Please don’t stop. I hope this man gets in and puts an end to the cruelty happening over there to the animals. I am so sorry for I cannot believe these stories anymore. For me personally South and North Korea are a shameful race. A for us pet eating country. Both, North AND South. What is the difference? Both eat dogs and cats prepared on an horrifying way. Never will I have respect for those human beings. Maybe and I hope for you he can be your new president. So what. Korean people still will be eating and torture animals in an incredible , not a for us normally way. I wish you , (for us, house pets with cuddles and sleeping in our beds) a good decision for the future. Pets give us people so much joy and happiness. oh how beautiful it is !! !now, when you know the dog’s love, when you know how it is when you love a dog ! can you imagine the puppies like these you saw, be put into the hot oil when these puppies are still alive ? can you imagine the dog boiled or skinned when he is still alive ? can you imagine, that the dogs have a legs cut off when they are still alive, only for one reason : the restaurant’s client wishes to eat a fresh dog’s leg ? Leonard de Vinci said : ” The day will come when the men as you and me will consider the murder of an animal in the same way as they consider the murder of a man today “” so please help us ! please do everything you can to ban this horrendous torture and consumption the dogs and cats in S. Korea and other asian countries !!! help us and be one of us, who will allow this famous day come soon !!! as quickly as possible !! What a wonderful and heartwarming story. Thank you. I LOVE MR. MOON!!!!!! PEOPLE LIKE HIM BRING US THE HOPE AND THE SENSE IN OUR LIVES!!!!!!! THANKS MR. MOON AND GOD BLESS YOUR LIFE AND ALL YOUR FAMILY!!!! AND I HOPE TOO THIS HONORABLE MAN GETS IN AND PUTS AN END TO THE CRUELTY WITH ANIMALS!!!!!! I LOVE THIS SENTENCE NANCY, AND I´M AGREE!!!! THANK YOU!!!! Thank you . You offer hope for millions of beautiful creatures. You will also make your country be respected by the world if you pursue this aim to stop the evil dog and cat meat trade. I hope he gets elected and pass these new animal protection laws. This is wonderfull! This man is so much need it!! I’d vote him a million times! You sound like an angel. I’d vote for you and I live in Australia. I wish you were running foir election here. We are so saddened by the live export trade an our govts personal interests in it and total disregard for the suffering they endure. The lucky ones die before destination. I have been following the progress of a few who rescue from live dogmeat trade and from dogmeat farms. Some of the pics and stories of Boknal are my worst nightmares. The unimaginable terror and torture the dogs and cats suffer is like a horror movie. And each one is alone with no one to help them only the cruel torturer. Imagine them looking in the eye of the torturer and crying for kindness and being lifted out of the hot water as if rescued and next to the poor animal horror being put back into the near boiling water imagine the total confusion and betrayal. The dogs have seen what happens when one of their cagemates get taken out. Every dog is terrified to be taken when rescued from a cage or from a cage at a dogmeat farm. Its just so heart breaking to realise they know, they have seen….I do hope your sucessful at election. I wish I could vote for you. I may not be able to vote for you officially but I can make a peoples choise vote-yes for Mr Moon Jai-In. It is so fantastic to read about this exceptional human being! This man is truly kind and compassionate what a great heart! If he is elected president of Korea he will take that nation out of the dark ages it finds itself in right now and bring it to the 21st century! Korea will no longer be despised worldwide for their unbelivable cruelty towards dogs and cats but respected and admired for their compassion! You can see the goodness and gentleness of this great man’s soul in his face! God bless him! i really hope u win the election, u will be an angel to these poor doggies!! THANK YOU FOR ALL YOU DO FOR THE ANIMALS. PLEASE CONTINUE WITH YOUR HELP FOR THE VOICELESS. GOD BLESS YOU!!!!! God Bless you for all that you have done and continue to do – if only the world had more people and leaders like you – I pray to God that you win the election, and continue to speak out for your people and for all the animals that do not have a voice ! what a lovely man. I only hope that he is able to do something to stop the terrible thing of Dog and Cat consumption. Thank you for being a voice for these poor animals.I will be praying that you win the election! Yes please never stop fighting for their life. Would love to save all beings suffering in this world :'( … and thanks because we know you do a lot of work to help them. One day hope this will stop forever. Thank you !!!! GOD BLESSS YOU !!! Puisse ce Monsieur devenir le président de la Corée du Sud, croisons les doigts que les citoyens coréens lui donnent toutes leur voix. I have hated Korea with all my being for its brutality I did not consider Koreans as human, felt no sympathy nor empathy and hoped for your demise, I boycotted Korean products – I was, are not alone !! You are the defining moment in Koreas history, you have what it takes to nurture the moral development of your Country, you carry not only our wishes and hopes but our blessing..
You are an answer to our prayers!!! I was moved by your beautiful story about Maru, her love, the puppies, and you & your family’s great compassion and actions to do the right thing! I am keeping you in my hopes and prayers for you to win the election. I am glad this man has compassion for animals. That is indeed wonderful. and neutering so there aren’t a billion puppies to find homes for?????? A Beautiful Person and Humanitarian…will make a great Leader! Wonderful sir, God bless you. Thank you for your compassion to those without a voice. Your story is an inspiration to everyone that respects all life. The barbaric treatment of animals in your country is disturbing by all civilized people. I pray you will be the change in your country that will allow animals their right to live and be treated humanely. PLEASE DO ANOTHER IMPORTANT THING FOR THE ANIMALS IN YOUR COUNTRY…YOU MUST ENCOURAGE SPAY/NEUTER TO PREVENT MORE ANIMALS BEING BORN AND SUFFERING. Thank you for loving animals and plants. I hope very much you will win the election and make Korea a better place for all the animals and end the dog and cat meat trade. What a blessing you are in your support of these sensitive animals who bring much joy into our lives. Thank you for supporting the end to this atroicious cruelt in the dog and cat meat trade. Please also consider educating all people with whom you come in contact along with your using your political power to help all people understand the importance of spaying/neutering all animals. Sending positive thoughts you win the election – the animals need you along with the people in your country. Respect for South Koreans will grow as the torture and killing stops. Mr. Moon will be loved by people who despised South Koreans. If Mr. Moon is true to the compassion he demonstrates, happiness follows. ellos también tienen derecho a existir y ser felices!! We admire you so much for your compassion and respect for animals! We so hope you will be the new President of S. Korea and will ban all dog and cat meat in your country! Punishment for those who disobey your Animal Protection laws is a must! Thank you and we hope you will make changes that will bring S. Korea into the 21st century!! Many, many thanks! May God bess you , and all the dogs in South Korea. Please put an end to the barbaric dog meat trade in your country. Mr. Moon Jae-In You are an angel on this earth! A wonderful, kind, caring soul who will be blessed for your compassion. Thank you, thank you, thank you! Thank you for caring about animals and nature! From USA we love you and wish you the best!! Thank God for the angels on the earth. God bless all you do to help Gods great creations, Dogs. Can I vote from Italy? I hope he wins…. Thank you President Moon. We hope here in America you END the dog meat trade FOREVER and change History!!!! Congratulations president Moon. I was very moved by your story and trust you will be truly a modern president with compassion for your people and all living things. Please put the animal protection law in place, and thank you! 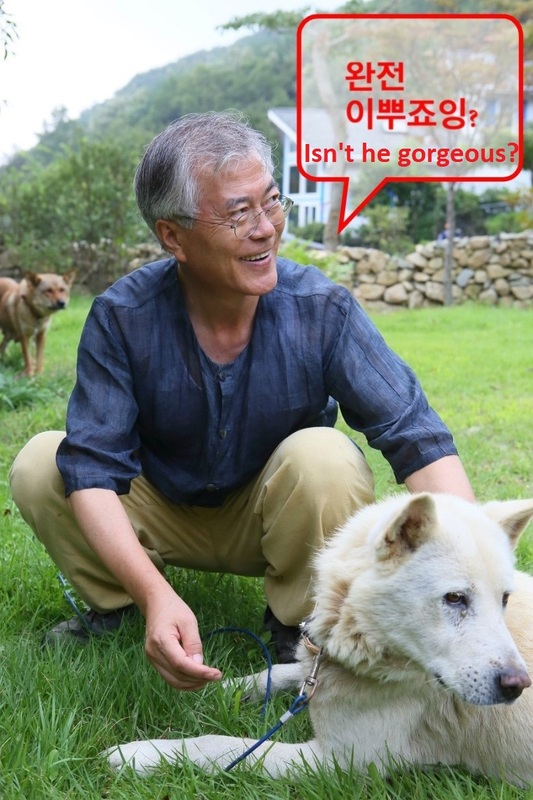 Thank you President Moon for being a man of compassion, love, empathy, kindness and respect for animals which are the best qualities we can all have and hope would underpin changes in Animal Welfare laws in your country. These guiding principles we hope would push the ban of the dog and cat meat trades for good and close down every breeding farms. With much sadness I appeal to you to make this happen soon to save the living dogs and cats from the upcoming festival. PLEASE stop the dog meat trade!! Thank you and God bless you! Nous vous souhaitons le succès Monsieur le Président pour un gouvernement prospère et gestes de compassion pour ces êtres qui souffrent d’une tradition “horrible”. La paix et le bonheur pour Vous et votre gouvernement. I entreat you with all the strength of my heart and soul to ban the trade in dog and cat meat and to banish the annual Boknal Festival in July. I beg you to take example on Taiwan, who has forbidden this trade once and for all. This decision was applauded by the whole world. I thank you very much in advance for helping, continuing and taking part in this change of mentality. Citizen of the world, concerned.